First of all — stop the press. Did you know that TODAY, October 2nd is National Taco Day? I know. First, it was National Peanut Day. Now this. Can you even stand the excitement? Don’t get me wrong. I know that every Tuesday is in fact Taco Tuesday. But most importantly today is THE Taco Tuesday. I don’t know about you but I love Mexican food. I can pretty much eat some rendition of Mexican food every day. After all, what is there NOT to like about Mexican food? First there is meat, then cheese, guacamole, jalapenos, tomatoes and might I add … maybe more cheese? 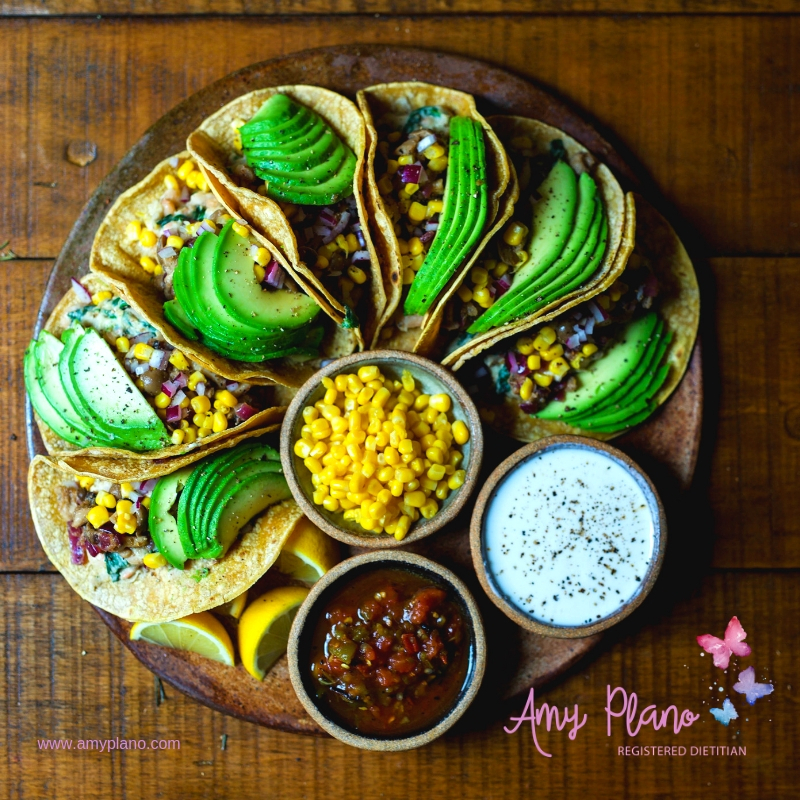 So let’s celebrate this glorious day with some healthy Mexican taco recipes. Yes you heard that right. Mexican CAN be healthy. I got you covered, I promise. Buen provecho! (Enjoy your meal in Spanish). I am a bowl and spoon type of girl. So that is why I lead the list of recipes with 9 Healthy Taco Bowls for When you Want to Ditch the Shell. For me, the actual taco shell just does not do it. Also it’s what inside the shell that really counts and the possibilities are seemingly endless. Most importantly, there is something in this list of recipes for everyone here. Meat eaters and vegans alike can hold hands and dig in knowing their respective bellies will be full. 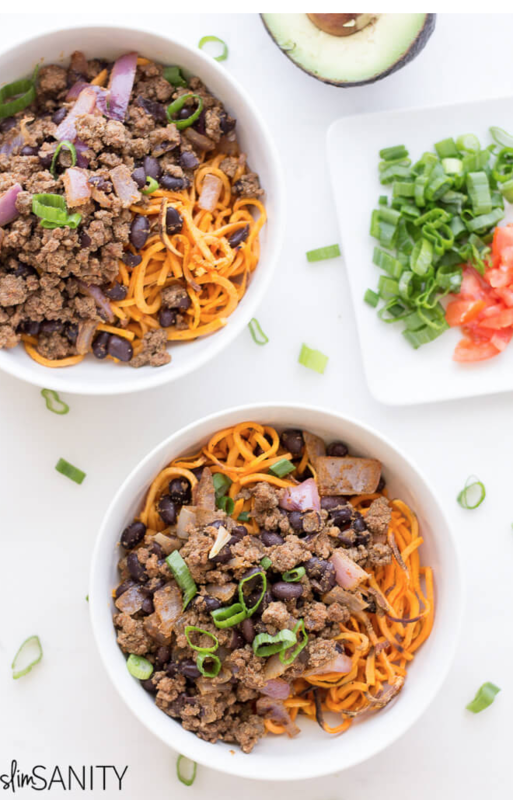 Check out these tasty taco bowls from Slim Sanity! Yum! From my experience people seem to have a ‘love or hate’ relationship with peppers. So for all the lovers out there I am sharing my favorite recipe for Taco Stuffed Peppers by the Cozy Cook. 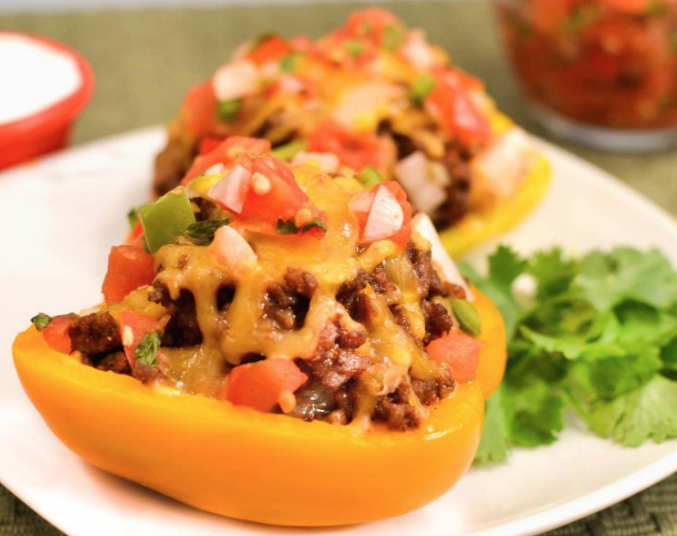 I am hopeful once you try these this bad boys stuffed with ground beef, cheese, salsa and sour cream – the fact they are even peppers will become a non-issue. Just a couple of substitutions I would suggest to this recipe. I am assuming the ground beef is referring to an 80/20 blend. I would suggest either ground sirloin which is generally 93/7 or 90/10 depending on the brand. Or you could also substitute ground chicken or ground turkey to lower the saturated fat content of the recipe as well. The Boca Crumbles or Beyond Beef Crumbles would also work lovely here as well. As for the Taco Seasoning in this recipe most commercial packets are loaded with sodium and often even MSG. So what I might suggest is you either make your own special blend or choose a low sodium brand with the least number of words you cannot pronounce. Don’t believe me that there are all sorts of wacky things in your taco seasoning click here to find out what is lurking. Note the second ingredient is salt. Also in case you didn’t know the term “partially hydrogenated soybean oil” is just a fancy name for trans fats. 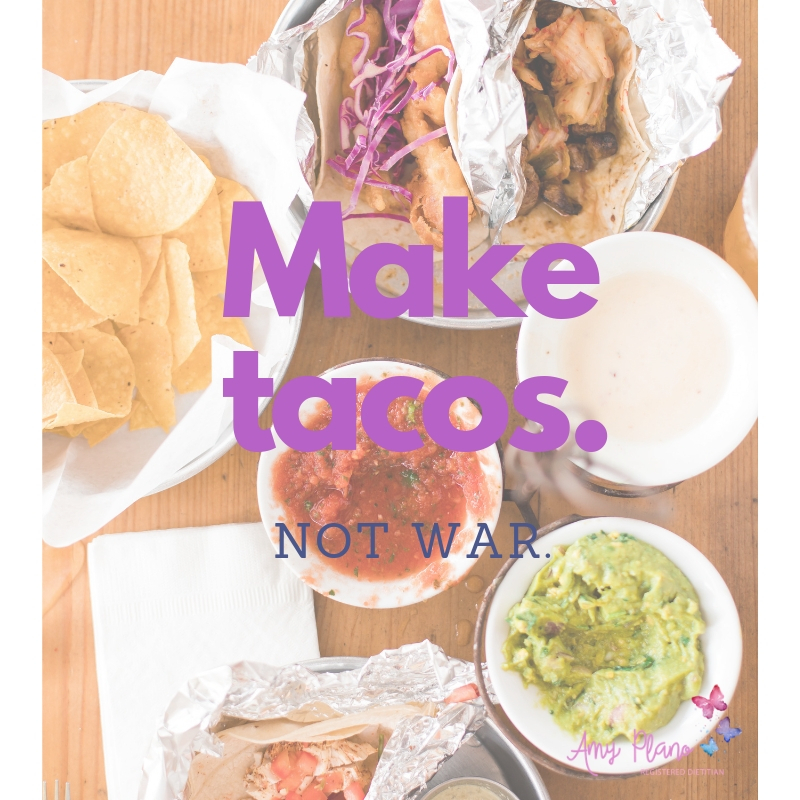 Don’t let the trans fats crash our Taco Tuesday party. Here is a simple recipe to make your own taco seasoning. Lastly, if you are looking to shave off a couple calories (40) and grams of fat (4) you can buy Trader Joes Light Mexican Cheese. I am a SUPER FAN. Well, we can’t chat about healthy taco recipes without mentioning taco salads. Depending upon what you put on a taco salad this is a great vehicle to get your Mexican on without a boat load of calories. However, don’t be fooled. 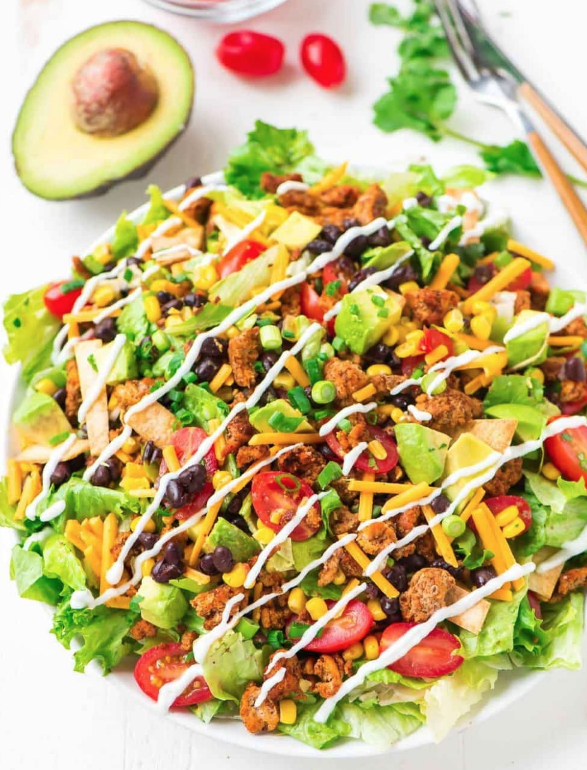 Most taco salads come in deep-fried taco bowls and clock in around 1000 calories per salad. Not to mention they can be sodium bombs. So why not just make your own? That way you can control all the toppings and make the salad as healthy as you want. Try this recipe from one of my favorite recipes sites Well Plated for a delicious Skinny Taco Salad. As with anything you can always tweak the ingredients. For example if you are watching your carbs you might nix the tortilla, black bean and/or corn. Or just scale back the quantity of each. Generally each cup of corn is about 15 grams of carbs. While each cup of beans is about 45 grams carbs. Depending on the brand, tortillas range from 10 grams each all the way to up 60 grams. In our house we love the low carbohydrate wraps from Trader Joes. We use them for everything from tacos, fajitas and quesadillas to DIY low-carb tortilla chips.